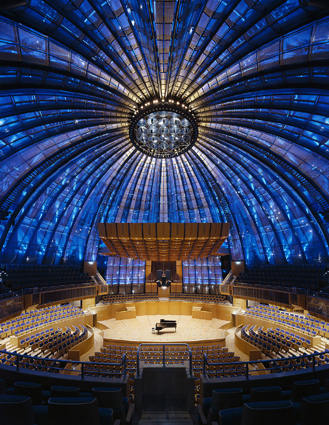 The Tonhalle is one of the most well known icons of our wonderful city. Sitting by the Oberkasseler Bridge on the banks of the Rhine, the round dome is familiar to nearly everyone, although not all know that this beautiful building is actually a concert hall. When describing the locations of the museums people often look at me blankly, I mention the Tonhalle at the top of the Ehrenhof where the museums and concert hall are and nearly everyone nods. 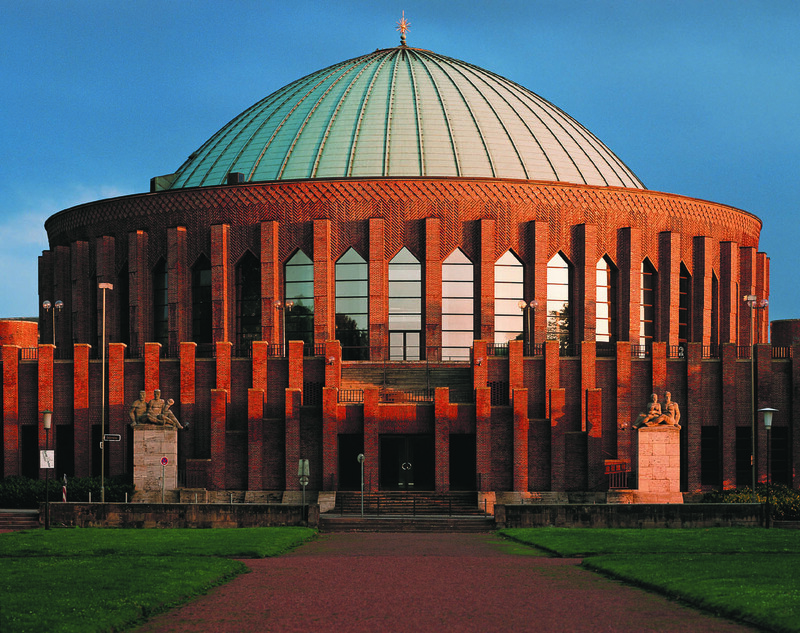 Built in 1926 as one of the world’s first planetariums, and Germany's very first planetarium, it was remodeled into a concert hall in the 1978. Since then the who’s who of the music world has played there - from The London Philharmonic Orchestra to Sting, from Jessye Norman to Nigel Kennedy, Dizzy Gillespie to The Buena Vista Social Club to Hilary Hahn. The audience can enjoy being right up close to the stage and I learned just yesterday that the Tonhalle is one of just three totally circular concert halls in the world; Düsseldorf has a real gem here! Musicians enjoy playing here as the atmosphere is intimate and most unique. The Tonhalle is also home to the Düsseldorf Symphony Orchestra. Following the recent piece in the Rheinische Post about RhineBuzz the Tonhalle contacted us and asked if we too could work together. I was delighted as I had wanted to bring them into the RhineBuzz programme for quite some time. Not only will we be bringing you events and the occasional special from their very varied programme but I will also be giving the first tours in English of this incredible building! I can’t wait to be interacting with you all again in such a way. 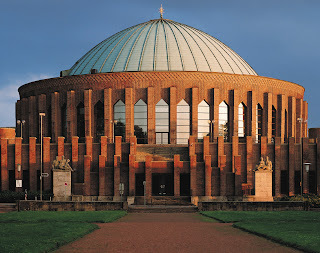 The tours at the NRW-Forum introduced us to such a diverse audience, and so very many of you tell me how much you miss these, so I’m happily confident that the Tonhalle tours will fill a gap. A date for the first is a little off yet, but this is a top priority for me, despite a mad Eurovision Song Contest influenced schedule right now (more of that to come soon! ), I’ll let you all know when it will be as soon as I can. Promise! So now we are thrilled to be bringing you our first event at the historic Tonhalle with a concert with American mezzo-soprano Susan Maclean, described by the music press as "phenomenal". This evening will include pieces by Bach, Mahler and Bruckner. Opening special with the Tonhalle: discounted tickets in the stalls will cost just €28.00. We also have a fabulous deal for au-pairs and students. Please email tonhalle@rhinebuzz.com for all payment details. Deadline and payment for seats is February 18th. We really look forward to seeing you there. This will be some evening!